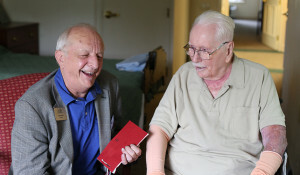 Hospice care focuses on quality of life. Over longer periods of time, clinicians can create a more comprehensive plan for patients’ “goals of care”. This will ensure not only their physical pain and symptoms are being managed, but also their emotional and social needs. The philosophy of hospice care is in the patient’s home, wherever home is. Choosing hospice sooner can provide patients and families or healthcare providers with the additional support they need through regularly scheduled visits throughout the week in the private home, long-term care facility, assisted living facility or hospital. Nurses can provide more education on signs of declining health and medications and counselors can provide stress-relieving techniques, caregiver solutions and grief support. 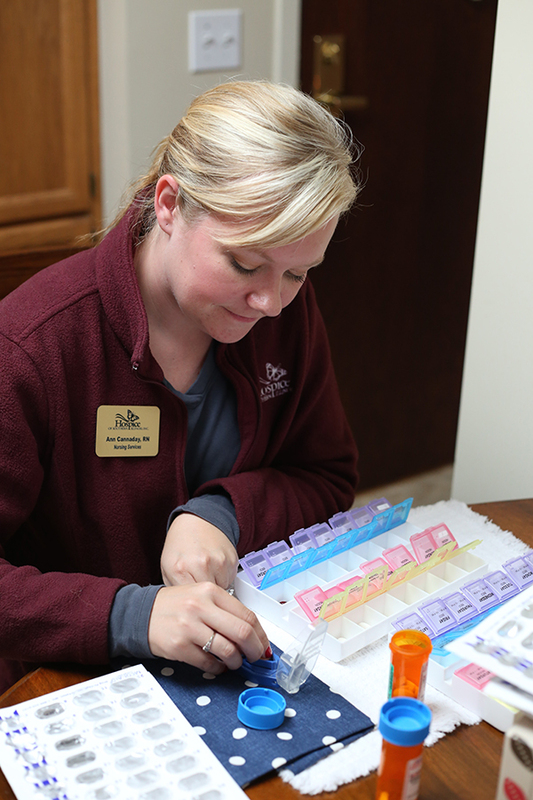 Hospice aides assist with day-to-day needs like personal care. Specialty programs and services can be utilized which are beneficial to patients and their families as well. For example, at Hospice of Southern Illinois, specially trained volunteers can provide caregiver relief. They can visit with patients while caregivers run errands, rest, or take care of their personal day to day needs. A program for veterans, known as We Honor Veterans, focuses on ensuring patients get specialized care and benefits they deserve. Finally, bereavement newsletters reach out as a resource to families for up to 13 months after their loved one has passed, with on-call support available if it is needed. Need to schedule an appointment to learn more about end-of-life care? Want to learn if Hospice of Southern Illinois’ care would benefit someone in your life? Please call, 1-800-233-1708, or visit our website, www.hospice.org, to access free resources. Our mission is to enhance the quality of life for individuals and their loved ones touched by a terminal illness. There comes a time… to ask how hospice can help. Visit our website, www.hospice.org.